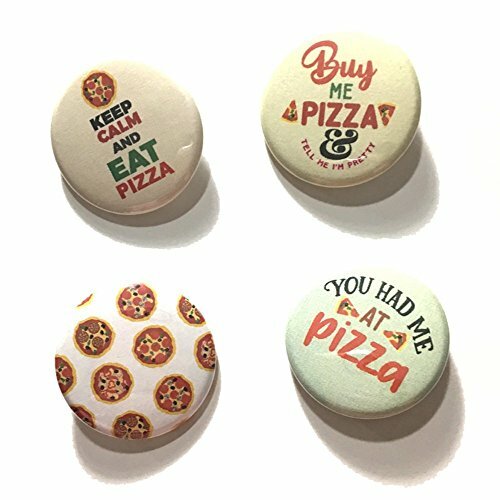 These pins are great gift for party favors or pizza addicted! This listing are for 12 pcs badge pin quality product. **There will be no glare in the real product, it's because photo lighting** The pin you'll get: 1 pc pizza pattern, 1 pc keep calm and eat pizza, 1 pc buy me pizza & tell me i'm pretty, 1 pc you had me at pizza. SIZE Pin size 1 1/2" diameter. It's hand cut and hand pressed. This item are Made To Order, usually take 2 days before ship out.